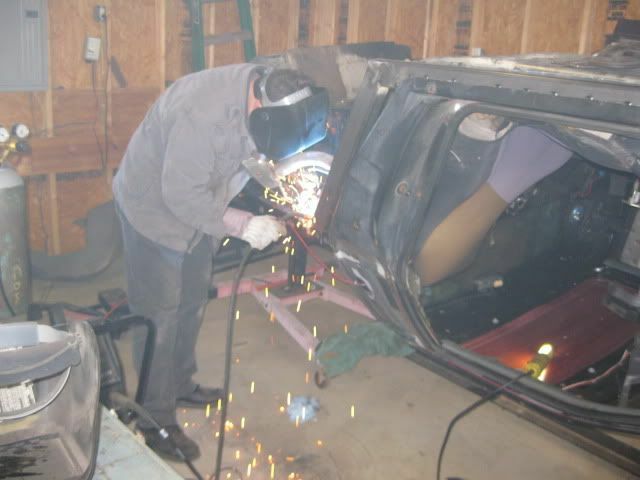 So I want to build a rotisserie for my Roadster project. 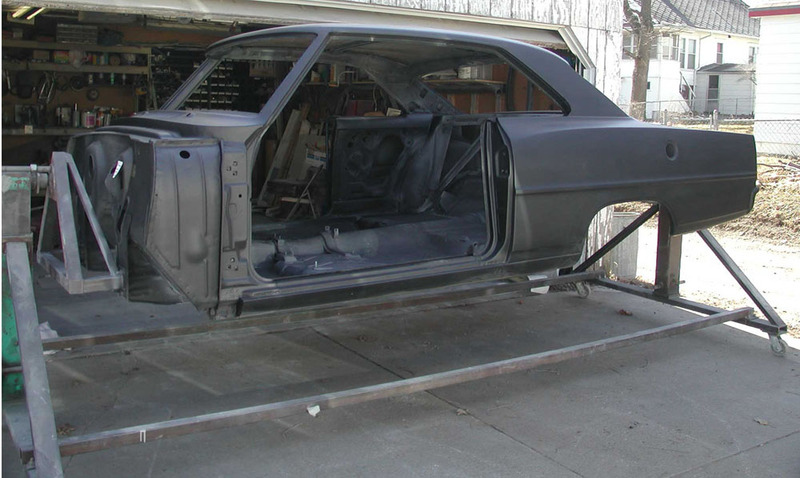 I'm thinking of something like an engine stand setup that bolts to the rear and front bumper mount areas and connect the 2 ends across the bottom with a removable "spreader" bar! 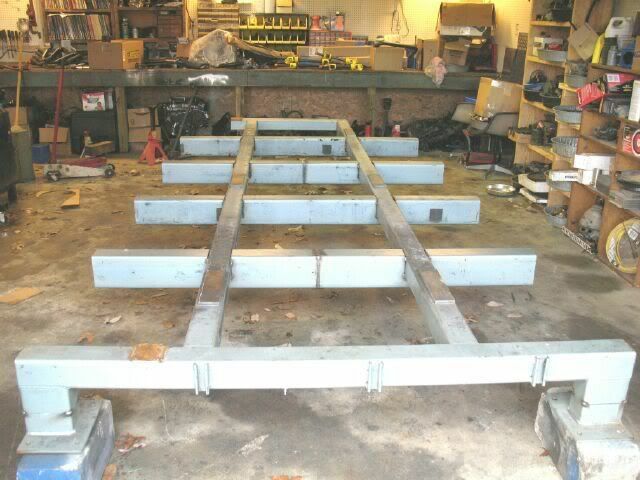 Use some good heavy swivel casters so I can roll it around the garage easily and build the end uprights just tall enough to allow the chassis to clear the spreader bar. Has anyone built one - have some tips, ideas, pics, etc.? I have a couple engine stands that I can use for mock up and then fab everything from scratch or just pick up a couple used engine stands off of craigslist that I can cut up? Anyone know the weight of the stripped chassis? No suspension, Doors, glass - bare - naked? Here are some examples and parts you may need. My friend has been working on one basically like you describe, except without the spreader bar. I don't think it's required if it's solid and properly bolted to the bumper supports. 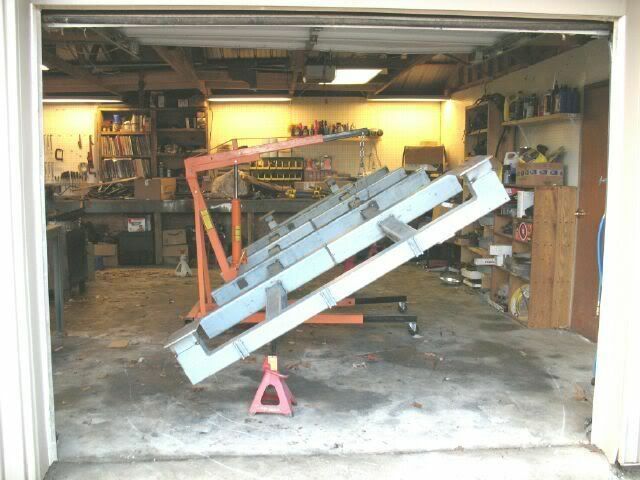 He uses two large (length, not capacity) hydraulic jacks (one each end) to jack up the pieces bolted to the supports. The main vertical post is large gauge square channel with a "T" base. 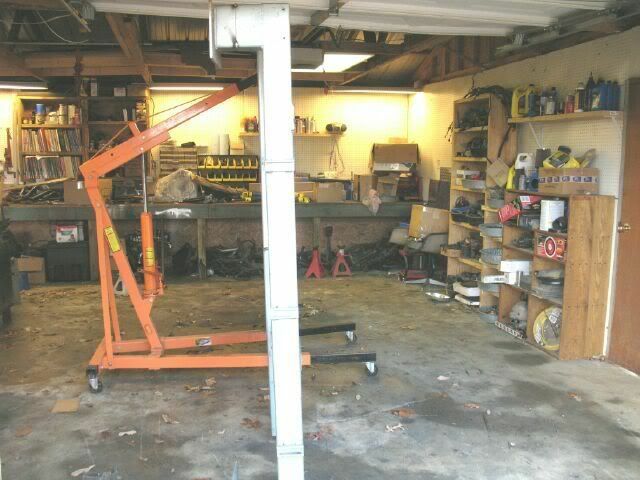 The hydraulic jack lifts a slightly larger square channel that rides up the vertical post. The rotary portion is connected to this outer square channel. It's a simple design, and I think it requires 2 people to jack the car up evenly...but it would be simple enough to modify. He said there is a forum dedicated to rotisseries...that's where he got the info for his design. The uprights (have green paint on them) are old semi trailer jacks mounted upside down, cut the foot off and welded on a wheel bearing hub for rotation. two long pieces of 2x2. 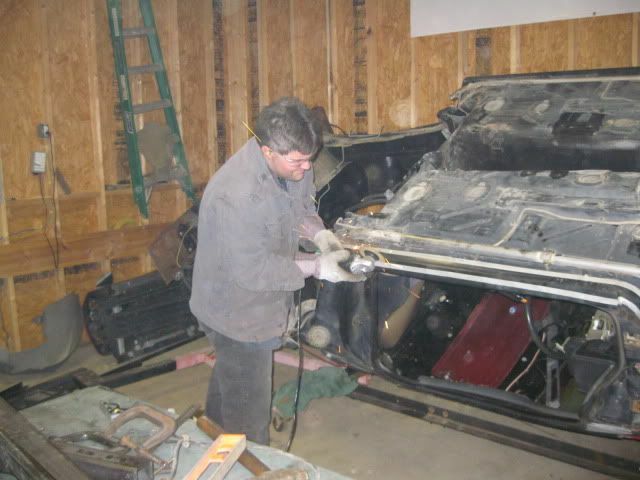 It worked great, the car was on it for 3 years, finally finished it in 2011. All great stuff - thanks to all for the posts! A Cherry picker was used at both ends? 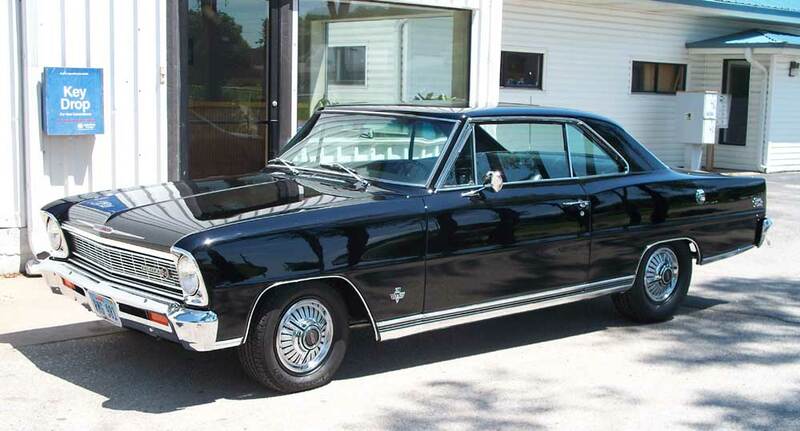 Very nice Nova - love those ground up restorations! Go here: http://www.homemadetools.net and do a search. You'll find lots of good stuff. Yes, but just the base with the extendable legs. Thanks for the plans! I'll be headed in that direction using some tips from Guru! 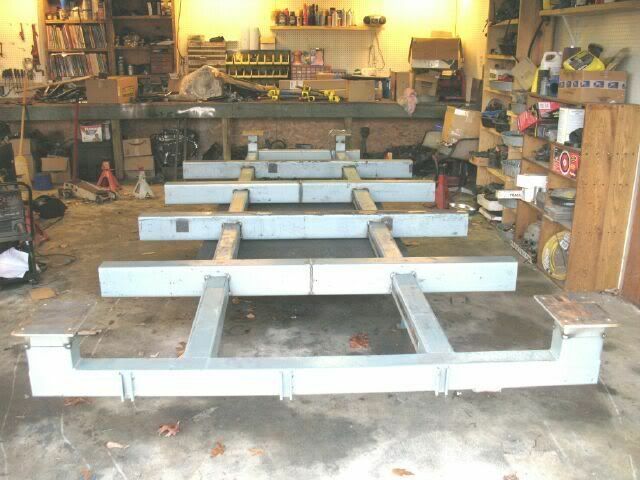 I have 2 Cherry pickers that I can use for the bases, I found a couple 7000 lb square tube trailer jacks I will use for he uprights so I can raise and lower that chassis - I'll be using these for another frame off project when the Roadster is done. That's quite an under frame you built there! I'll send you a PM with a few questions - looking for your opinion! CarverToo - Thanks for that link - lots of useful items there. I love it when a plan comes together out of scrap metal. Some pretty cool stuff in there. Thanks for that. 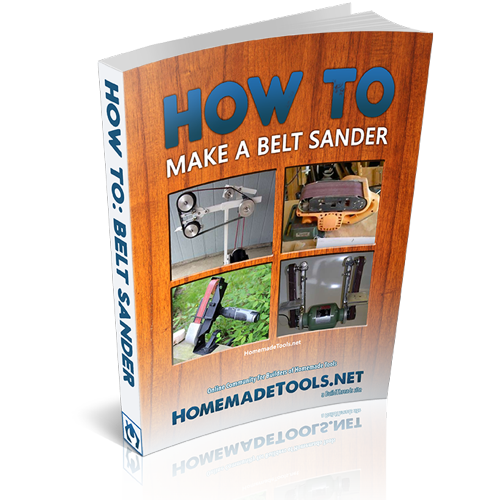 I may just end up building one of those band saws. 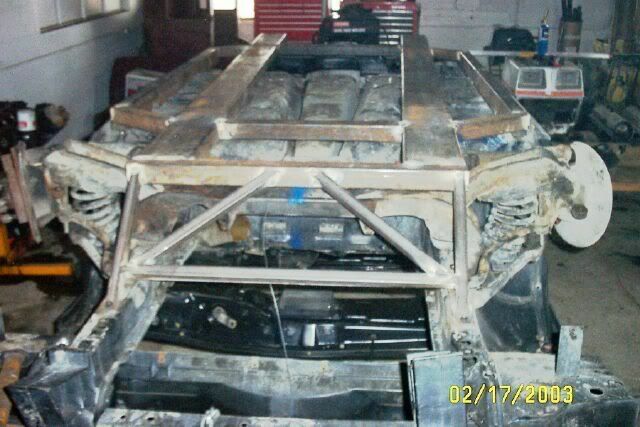 if someone emails me I have pics of the one we made for our fiero project. puts it way up in the air and allowed us to access everything. Sorry i cant load pics.